Posted in ICEC 2015 on August 14, 2016 by icec2014. 1998년 서울을 시작으로 전 세계를 순회하며 개최되어 온 International Conference on Electronic Commerce가 15년 만에 다시 한국으로 돌아왔습니다. 한국경영정보학회와 국제전자상거래연구센터는 15년만에 한국으로 돌아온 국제전자상거래학술대회를 축하하는 의미에서 모든 분들을 초청합니다. 전자상거래 국제 동향, O2O와 사물인터넷에 관한 전문가들의 경험과 새로운 지식, 최신의 온오프라인 마케팅 기법 등에 관한 최고의 발표들을 무료로 들으실 수 있는 기회입니다. 많은 참여 있으시길 바랍니다. Posted in ICEC 2015 on July 9, 2015 by icec2014. The theme of the ICEC’2015 is Application of Big Data in E-Commerce. The theme reflects the advent of big data which becomes a very popular topic in electronic commerce. Authors are asked to find ways to balance the technical aspects and managerial aspects of E-Commerce in utilizing this new trend. With the advanced information technologies, the collection of huge amount of data in the context of social interactions has become possible. For better managerial decision making, now firms and their executives are very interested in extracting patterns out of those social interactions and big data from those interactions. The authors are encouraged to cover some of the characteristics of the theme and analyze applications of those in real businesses. 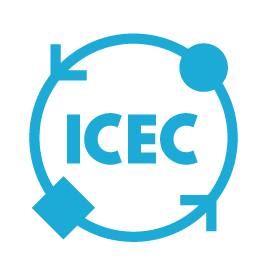 Posted in ICEC 2015 on June 10, 2015 by icec2014.